NOTE: This is Part 10 of our ongoing series documenting the history of our company. If you’re just joining us, be sure to read Part 1, 2, 3, 4, 5, 6, 7, 8, and 9. After Jamboree, Michael Booth and I began to work together on new graphics for the RootsMagic 3 I was finishing up. Although it was just a small thing, it made a big difference in the look of the screens. The more we worked together the more I realized how talented Mike was and how much I enjoyed working with him. I told my wife that I would love to have Mike join RootsMagic, but that it was also kind of scary. Up until now, RootsMagic was simply a family business that only had to support our family. Our only official employee was my daughter Kristy who handled all the shipping. I did all the programming, tech support, and marketing (if you could really call it that). In late May 2005 I finally got up the courage to call Mike and ask if he and his wife would meet with me and my wife for lunch. I didn’t really tell him what it was about because I wanted to ask him personally. I still remember the butterflies in my stomach, and thinking I wasn’t much of a business person if I was this nervous about bringing up this subject with Mike. I hemmed and hawed and finally asked if he would ever consider joining RootsMagic as our Vice President and bring his Personal Historian software along for the ride. I didn’t expect Mike to make a decision right there (and he didn’t). But over the course of the next month we discussed and negotiated all kinds of things. It was a very friendly negotiation, but at one point it looked like it wasn’t going to happen. It wasn’t really over anything tangible… it was mainly just a question of whether it was really right for Mike and his family. I was in a funk, but it didn’t feel like there was anything I could do about it. I decided to respect his decision, but I did try to subtly (or maybe not so subtly) point out what great synergy our two products and companies would have together. We finally set it up so that if things didn’t work out the way we planned, Mike and I could take our products (and companies) and go our own ways. And on July 1, 2005, Michael Booth joined RootsMagic as Vice President, and we added Personal Historian to our product line. 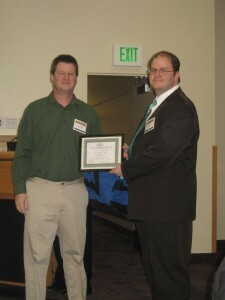 At our first genealogy conference after joining forces (the BYU fall genealogy conference), we made less money combined than we each made individually the year before. We joked about how well this “synergy” thing was working for us, and at that point I knew we were going to make this work. The first thing Mike did was help me bring RootsMagic into the 21st century. Up until then, RootsMagic had only been available on CD, and Mike decided we needed to make it available as a download also. While I finished up version 3, Mike wrote the code that allowed us to make it downloadable for the first time. Once we released RootsMagic 3, Mike began work on our next project. It was a mapping program designed to read genealogy data and plot it on a world based map. 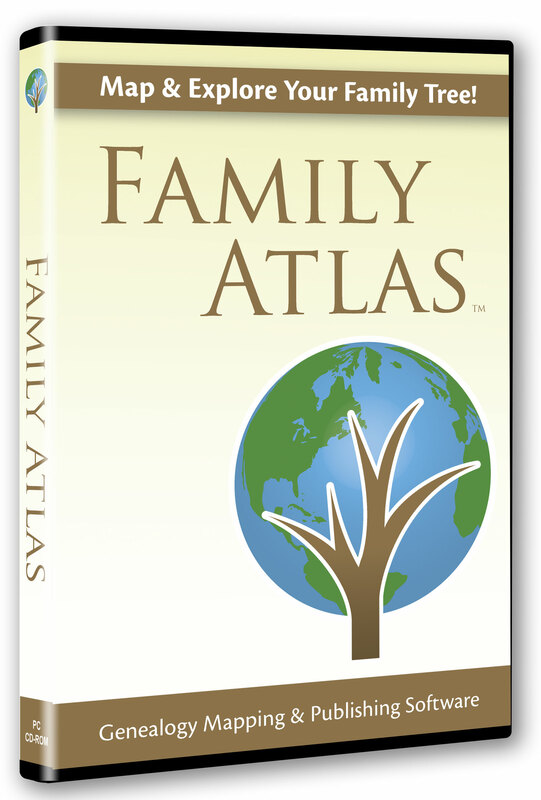 Back when I was working with Parsons Technology, I had helped them develop a genealogy mapping program called Family Atlas (I wrote the code for reading GEDCOM files into it). That program was long gone, and I had been wanting to create a new program that took genealogy mapping to the next level. The first thing I did was check if the “Family Atlas” name was available again. Luckily it was, although we had to pay a pretty good price to get the domain name. As we got closer to releasing Family Atlas we began doing some demonstration classes at conferences, and discovered that what we were offering was only half of what users really wanted. We had the ability to import and manipulate genealogy data geographically, but users also wanted to be able to publish maps with those results. 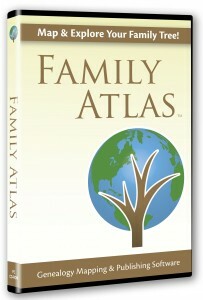 We went back to the drawing board, added a publishing feature, and in October 2006 we released Family Atlas. And then we began the longest and most difficult programming project in our company history. Thanks Bruce for writing up the history. I started with Family Origins right after it became available and have stuck with it right up to the present. I am the coordinator of the RM SIG for the Pima County Genealogy Society in Tucson, AZ–as I was with the former Arizona State Genealogy Society. The SIG group is growing. Thanks for your knowledge and expertise. I use RM for myself, my family and my clients. Bruce, I have just lived the last 20 years in genealogy programs with you. You have done a fantastic job in your history report and your programs. Can’t wait for your total rewrite. Bruce I was a “late comer” to Family Origins, I found out about it at version 6. (I still have the box and CD would you believe!). I’m glad you persevered when Family Origins was not being marketed by the company which ended up with the rights to it. I love the flexibility of RootsMagic, particularly with sources and notes and multimedia. The feature that I find brilliant is the Relationship Chart. Whenever I make contact with a distant relative and confirm the connection I send them a Relationship Chart to easily show our connection back to a common ancestor. I purchased FO at the beginning, and have remained through the years. Thank you for clearing up the name changes… I do recall something about problems with the RM name– at least the ‘Magic’ part because it would lead us into devil worship? I, personally, haven’t noticed a proclivity toward this myself– no more than usually anyway. This is an excellent history for a very excellent program. Thank you Bruce for many good years! I have just read all of your postings of the history of RM. As a beginning user, I originally used PAF for several years. When I switched to RM I was amazed at all of the features you have in one program. I began suggesting to other PAF users to switch to RM and they did. Your partnership with Family Search and others was really important to me. I loved being able to have all my data linked together and the ability to download and upload data is fantastic. Keep the updates coming.